Inventory Optimization: What Is It and Why Do You Need It? UPDATE September 2016: We now have a directory category for restocking tools. Retail is a simple business. You buy products in large quantities, open up the boxes, then sell small quantities to consumers. But when we talk about ecommerce – online retail – most of the focus is on the “selling” and not so much on the “buying”. There’s no doubting the importance of selling, which includes marketing, shipping and customer support. But there’s just as much to be gained by working on the buying part of the business. So in this article I’m going to talk about “inventory optimization”. It’s the science of when to order stock, and how many units to buy, to make sure you have enough to keep up with orders while minimizing the amount lingering in the warehouse. It gets a little complex, but there are innovative tools that can do it for you – including one that’s free for small businesses. As time passes, orders are fulfilled and stock levels fall. When the amount of stock remaining hits the “reorder point” (or reorder level) you place an order with your supplier for more stock. You continue to fulfill orders from your “safety stock” while you wait for delivery from your supplier – the “lead time”. The new stock arrives and the process starts again. It’s a simple process, and if you sell anything online then you are already doing it in some form. If you are lucky enough that all your products sell at the same speed, and all your suppliers have the same lead time, it will be so easy to optimize your reordering that you’ve probably already done it! But many online retailers have hundreds or even thousands of product lines. They sell at different rates, and suppliers have different lead times. Not only that, the sales volume varies depending on the time of year, competition, fashion and many other factors that drive customer demand. 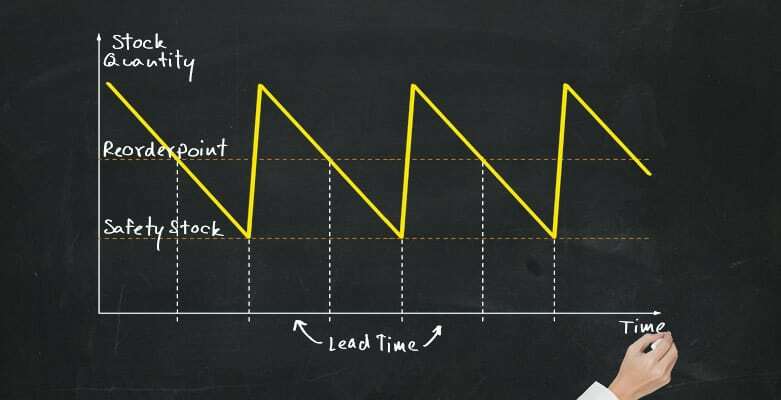 For businesses in that position there won’t be one simple sawtooth chart. There will be many, with varying lead times and reorder points. And as time passes, the height of the saw’s teeth will move up and down to reflect customer demand. On top of that, the strategy has to be aligned to an order frequency that’s manageable for the retailer and acceptable to suppliers, typically weekly or monthly. For many businesses it’s so complicated that reordering is mostly down to guesswork, and they often get it wrong. Inventory optimization is about making sure that you have just enough stock on hand to satisfy customer demand. If you don’t have enough then you’ll lose sales. However, holding too much stock will tie up cash, which hurts your stock turn and prevents you from expanding. Exactly what constitutes “just enough” depends on your business. For some (such as a shoe shop), the cost of holding stock is low relative to the cost of lost sales, so fairly high service levels are appropriate. For others, particularly those selling capital goods (such as tractors) it may not be appropriate to carry any inventory at all and so everything might be built to order. 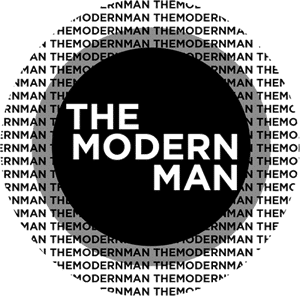 I caught up with Matt Crowson of The Modern Man, a UK website selling male grooming products which started using an inventory optimization tool two years ago. It was intuition, just a good guess. A lot of the time I didn’t even look at the data. I’d order three of an item at first, and if they sold out I’d order six. And then if they sold out again I’d order nine. That was my method. It wasn’t really working and we would go out of stock. I could have been getting a lot more sales than I was. I might have known I’d sold three, but without looking at all the data I wouldn’t know how long it took. It might have been a whole month, in which case I’d only need another three. But if the three sold out in two days, then I should be ordering ninety or so. I was being too cautious, and not reacting fast enough. I knew there was a problem because I would spend a day working on the purchase order. I’d try to look at the sales history for every stock item, and figure out that if I sold five in a week that means I need twenty in a month and so on. But when the business is growing, you can’t spend all your time doing that. My background’s in IT so I wrote some SQL code to export data from Linnworks. Then I ran Lokad and put in the lead time and service level – it’s the probability you’ll have enough stock to fulfill all your orders that month. You can’t have 100% because you’d have to order an infinite number of products, so it’s best to keep it at about 95%. Lokad just spits out a number at the end. It says for a month’s worth of this product, you need to have 20 or 25 on the shelf. Then I import it back in, and Linnworks creates orders for suppliers based on that value. That’s how it works. That’s essentially the goal of inventory optimization software: to use past sales data to predict buyer demand, then recommend reorder quantities based on that. It’s the kind of retail technology used for years by retailers like Walmart and Tesco, but now available at low cost (or even free) for small businesses. It can even be used to fully automate reordering, so stock is delivered to the warehouse with no manual intervention at all. So how do these tools go about predicting, or “forecasting” future sales? Is it just a fancy way of telling you to buy the same amount of stock that you sold in the last month? Well, no. It’s in the domain of statistics and algorithms, so the forecasts can pick up on seasonal variations and temporary spikes in demand. With enough data, a good tool will automatically increase orders when demand is high, such as at Christmas, and not get carried away by a jump in sales that might be down to a one-off event, like media coverage. So how do they work? Well, tools like Lokad and SkuBrain have a “library” of forecasting algorithms – mathematical models of how sales change over time. When a retailer’s data is loaded up, they compare the sales history for each product to this library, and run a virtual “competition” to find the algorithm which fits the best. The winning algorithm is then used to predict future sales for that product. It’s not at all necessary to understand the science behind demand forecasting to use an inventory optimization tool. In fact, a key attraction of these tools is that you don’t have to understand them to use them. Still, it can be unnerving to trust something as expensive as buying stock to mysterious algorithms. If you want to know more, I recommend SkuBrain’s article on demand forecasting and Lokad’s forecasting engine video. As humans, our minds are geared toward certain types of activities. For example, you will find a lot more ski instructors than walk instructors, because, unlike walking, skiing is a very counter-intuitive practice – if you start going too fast you need to lean forward countering the instinct of leaning backward. Inventory optimization deeply relies on both statistics and numerical optimization, two fields generally considered as counter-intuitive. As a result, inventory optimization calculations nearly always feel odd, and the whole practice is booby trapped with “intuitive” but incorrect calculations. You can do rudimentary sales forecasting in Excel, but true inventory optimization software is a specialized area. Software that also focuses on small to mid-size ecommerce businesses is something of a rarity, but that is starting to change. Alongside statistics-driven tools like Lokad and SkuBrain, there is a growing category of Amazon-focused restocking tools like Forecastly, Inventory Planner, Teikametrics FBA Restocking Optimization and RestockPro. They are all listed in the Restocking category in the Web Retailer directory. Both Lokad and SkuBrain have integrations with inventory management software. SkuBrain works with Brightpearl, Shopify and the Vend POS software. Lokad also supports Vend and Brightpearl along with Linnworks, Megaventory, TradeGecko, Stitch, Unleashed, SkuVault and Magento. A pre-existing integration isn’t a requirement though: as long as you can export your sales history to a flat file format such as CSV you should be able to make use of them. While some inventory and marketplace management software can generate purchase orders, they don’t tend to use algorithmic inventory optimization. They are more likely to use a simple minimum stock level to trigger reordering of a fixed quantity of stock. If you already have software with that feature but aren’t making use of it, it’s certainly worth exploring before trying a standalone tool. Lokad has a new (and unusual) pricing model based on annual sales revenue. For businesses with up to $450K in sales, it is a free tool. Beyond that, it’s $150 per month for revenue up to $1.5M, $450 per month for up to $4.5M in revenue, and $1,350 for up to $15M in revenue. It also has a 30-day free trial. Both tools are genuinely within the reach of smaller ecommerce businesses, at least at the lower revenue/SKU levels. As a first choice, Lokad is something of a no-brainer for businesses below the $450K revenue level, while SkuBrain might be more competitive for businesses with lower SKU counts. Both have a free trial, and as standalone tools the effort involved in taking the trial should be relatively low. Teikametrics also provides inventory optimization software for small to mid-size ecommerce businesses, but has a different approach. They provide tools specifically for the challenges of selling on the Amazon marketplace and don’t use a heavily algorithm-driven approach to forecasting sales. Their range of tools covers more than reordering optimization, including repricing, product selection and managing shipments into FBA. A similar approach is taken by Forecastly, Inventory Planner and RestockPro. The services and tools we provide our clients focus on the approach that automation and analytics enable retailers to make more accurate investment decisions as well as improve efficiency. A completely automated buying system is sub-optimal – you still need to have the ability to test various assumptions and the retailer will be the one making those adjustments. Our goal is always to provide a tool that helps our clients make much better purchases, rather than replacing the need for manual input. Our tools give retailers the ability to test different buying models, which would be incredibly complex without software. Inventory optimization is a simple idea: it’s just about reordering the right amount of stock. But the science behind it is something else, going well beyond the average person’s understanding of statistics. Thankfully, you don’t have to understand how the tools work to make use of them. So what’s the process of ordering stock like in your business? If it’s a painful process and you go out of stock of products that sell well, yet have other products gathering dust, it’s worth looking into optimization tools such as Lokad and SkuBrain. If you’re really focused on Amazon, look into FBA restocking tools too. Lokad is free for those with less than $450K in annual sales, while SkuBrain may be more economical for those with high sales but a low number of SKUs (product lines). Both have a free trial too, so there’s not much to lose by giving them a try. A very good article on system/stock optimization. plentymarkets includes a feature which will suggest how many items you should reorder an when you have to place your reorder, so you won’t run out of stock. You can then proceed and place the reorder based on the suggestions directly in the system. I am doctoral student and doing supply chain research. Can I get this software free?